It's no secret that Perth has its fair share of British expats who've moved to sunny WA seeking the sunshine and an altogether better life style for themselves or their families. Whilst Perth exceeds so many expectations of this 'pom' community it's only natural that from time, certain tastes from home are dearly missed. Top of this list of fondly cherished creature comforts from 'home' are the old fashioned British fish and chip offering. For the poms out there this means hand cut chips, flaky cod or haddock with mushy peas as an optional extra. Try as you might to recreate this at home, you just can't do it justice. Never fear, for there's about to be a British invasion of another kind as the Great British Chippy company sets up its first shop in Perth's northern suburb of Currambine. Set up by two expat families who went into business to launch WA's first traditional British fish and chip store after finding it impossible to find a takeaway in WA that sold freshly cut chips. Owners Jonathan and Ross are keenly looking forward to meeting lots of happy customers who will enjoy the quality products on offer and the small taste of home that many expats have been craving. Chips: A highlight of the menu is going to be real chips. Freshly cut chips make all the difference and if you've not had them before, you'll be hooked real soon. Aside from the chips of the non frozen variety, you can also feast on potato scallops; just delicious. 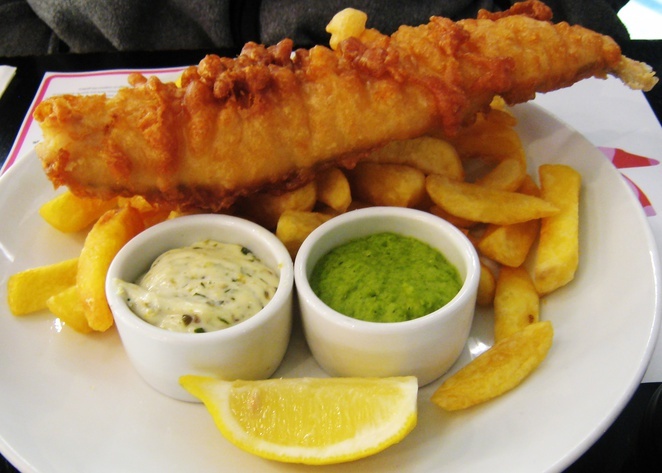 Fish: Choose from cod, haddock, scampi, fish cake and battered roe. Family Favourites: Take your pick from haggis, black pudding, white pudding, battered jumbo sausage. Pies: A great selection of British faves includes chicken and mushroom pie, steak and Guinness pie,steak and kidney pudding and the humble Cornish pasty. Accompaniments: Add on whatever side dish you've been yearning after including mushy peas, curry sauce, gravy, pickled eggs, pickled gherkins and pickled onions. The cod and haddock are fished from sustainable stocks from the waters in and around the North Atlantic. It is frozen and packed on board the ship within 5 hours of being caught. This ensures that the fish you'll be tasting at the Great British Chippy will be of the highest possible quality. There will also be a range of English beverages on offer too, so if you've been hankering after Irn Bru, Tizer or the oddly named Dandelion and Burdock then you can quench your thirst whilst supping on your favourites drink. This may all change dependant upon how busy they are, and I would imagine they are going to be rushed off their feet based on all the hungry expats in Perth's north. In blind taste tests, 12 out of 14 chose frozen at sea fish. 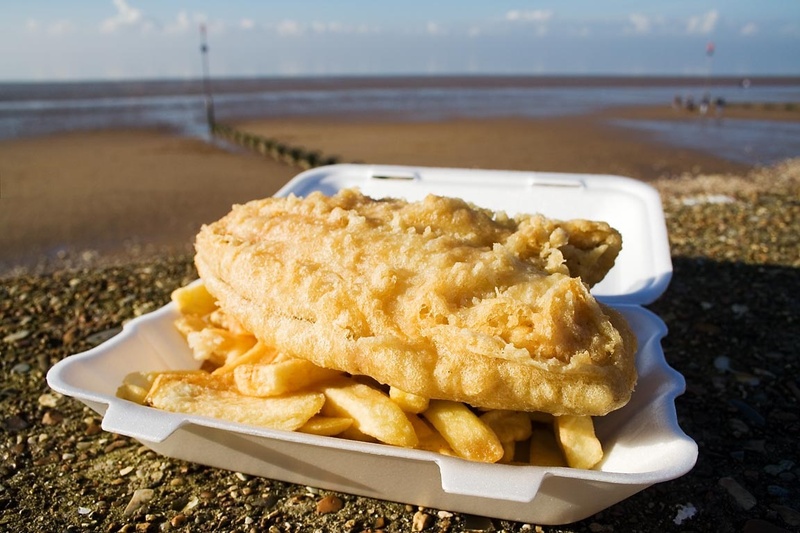 FASFA (Frozen at Sea Fillets Association) supply sea fillets to over 80% of UK fish and chip shops. Helen on the sofa must be a shareholder of the new fish and chip shop in Currambine because we've just spent a whopping $77 for 4 x Haddock and chips with 2 onions and it's truly the WORST take away fish and chips we've tasted in years. Both the Haddock and the chips were precooked leaving the chips lukewarm and inedible. The Haddock was obviously cooked from frozen as it was ice cold inside batter that was overcrisp outside and soggy inside. The onions were also pretty strong so hadn't been left to marinate very long (obviously homemade). Sorry but this take-away is way OVER priced and the cook needs some experience in cooking fish and chips. It's not rocket science and it's not good enough to run on the reputation of being British.